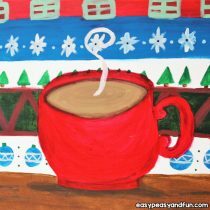 We seriously think homemade Christmas ornaments are the best, even more so if they are made by kids. 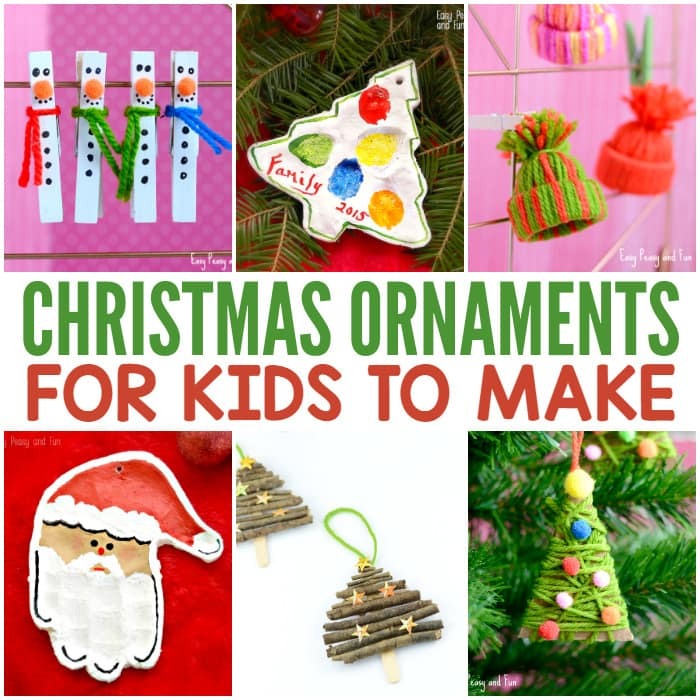 We’ve rounded up some of the best ideas for Christmas ornaments for kids and kids at heart to make together this year. You’ll find lots of great ideas for all ages, toddlers, preschool, kindergarten and older kids and kids at heart. 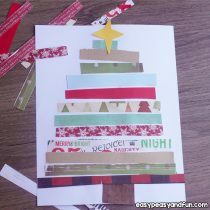 We really hope you will start a “DIY Christmas ornament” family tradition, making new unique ornaments each year and saving them for years to come. Your Christmas tree will be more and more special with each coming year. 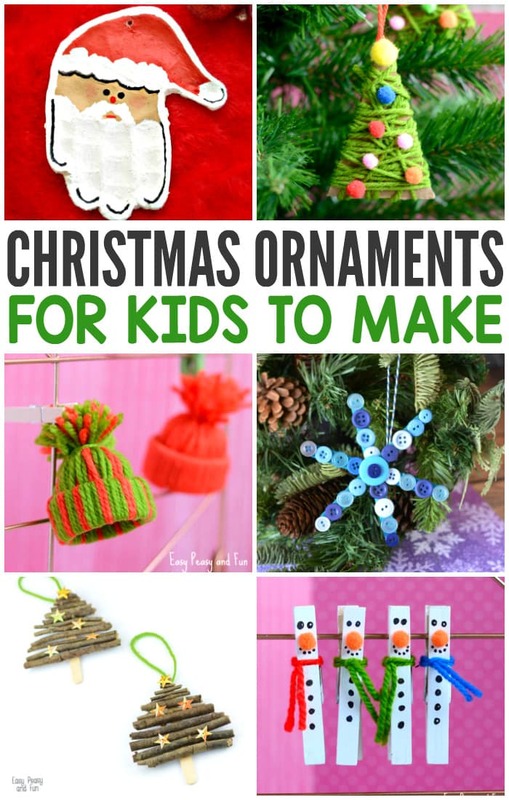 You’ll find a nice mix of easy homemade christmas tree ornaments as well as more demanding projects adults too will enjoy. As we create and find new ideas, we will be adding them to this list so be sure to save it and revisit this page in the future. Happy crafting! 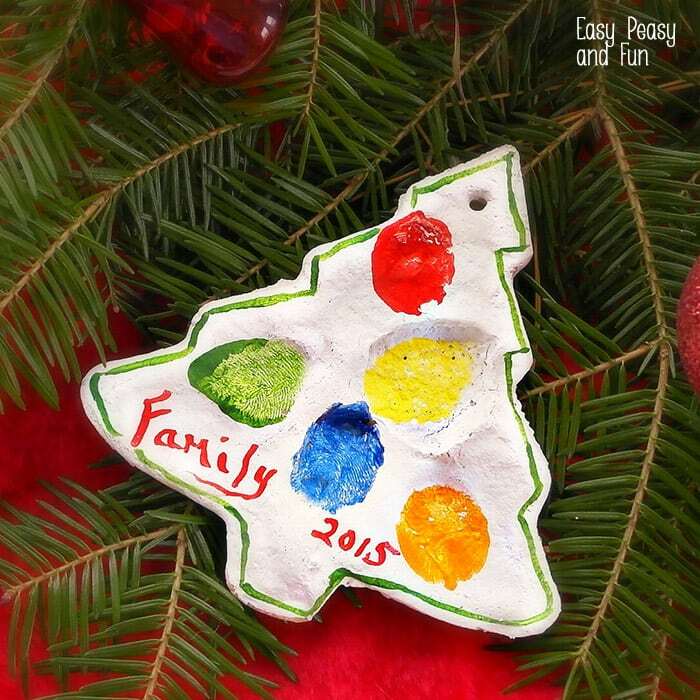 Fingerprint Christmas Tree Salt Dough Ornament – This one is one of our favorites really when it comes to homemade Christmas ornaments as the whole family takes part in making it. Make a new one each year and watch the little fingers grow. 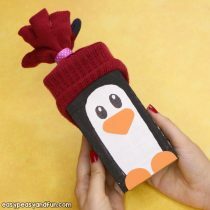 Such a cute and personalised idea. 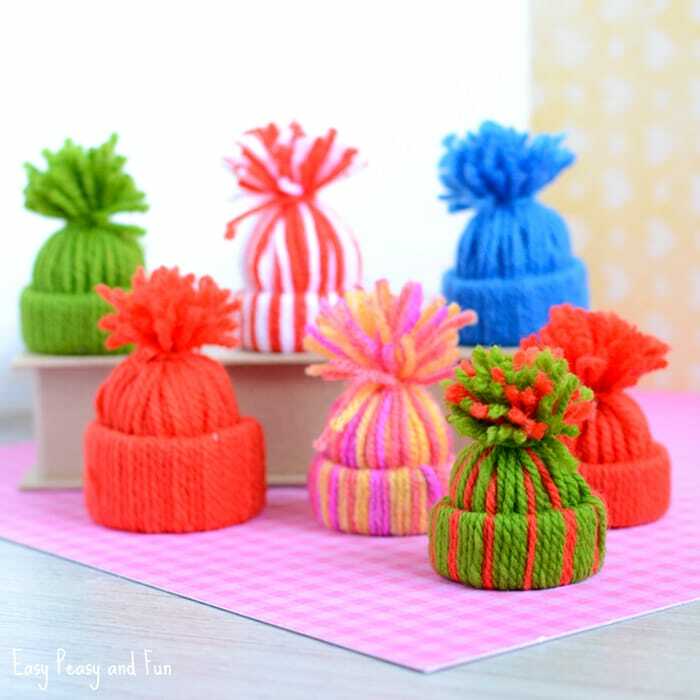 Mini Yarn Hats – You won’t be able to stop making these. They are great fun for all ages! And they can double up as doll hats after the holidays. 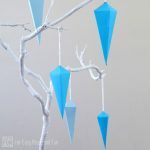 They don’t require a lot yarn to be made and are a suitable crafting project for the whole family so you will have your tree full of these in no time. 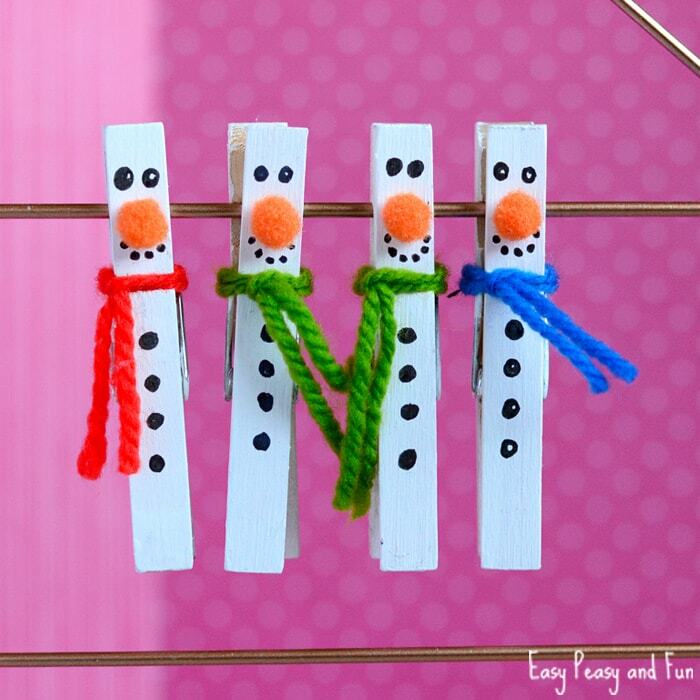 Clothespin Snowmen these cute fellows are an easy DIY Christmas ornament and an insanely frugal one too! 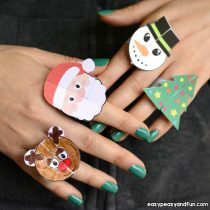 They will look fun hanging around on your tree or make a nice little decoration to your gift bags. 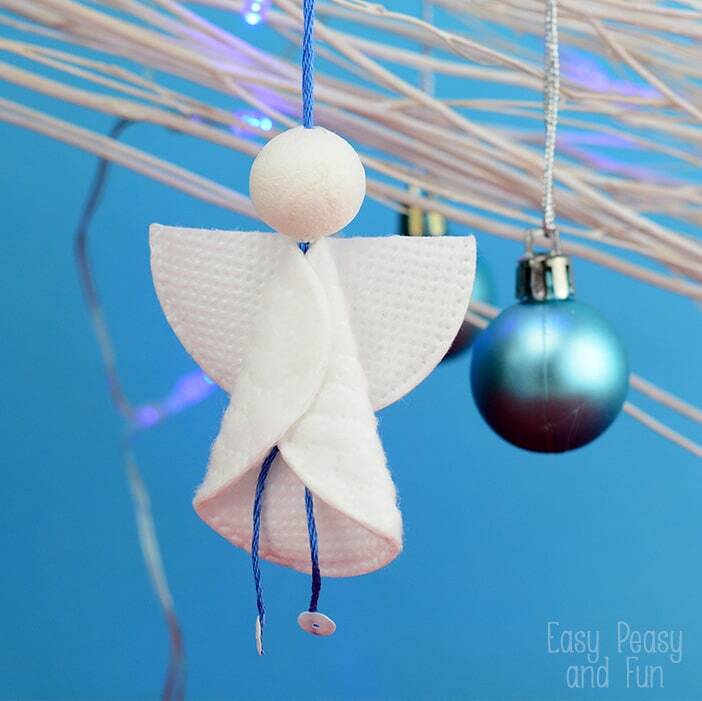 Cotton Round Angels – these will shine in all it’s glory. We love how simplistic these little cotton buddies look like. You can make them even fancier by adding a bit of glitter on their wings or add facial features. Christmas Ornament Template to Color – print these wonderful templates, color them in however you see fit and hang on your tree or give to friends and family. Handprint Santa Ornament – A classic one that is a must. We do love these keepsake as you can make a new one each year and watch the little hands grow. 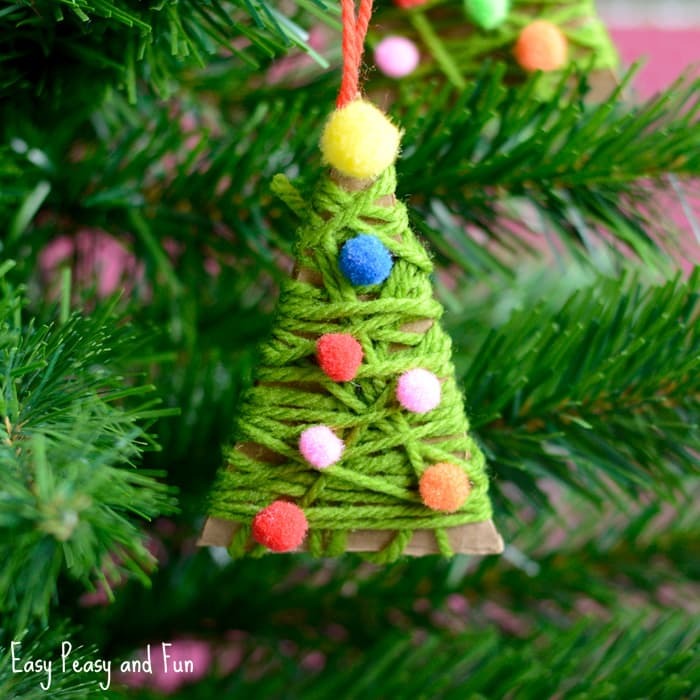 Yarn Wrapped Christmas Trees – We absolutely love these, they look adorable and are great for fine motor skills. 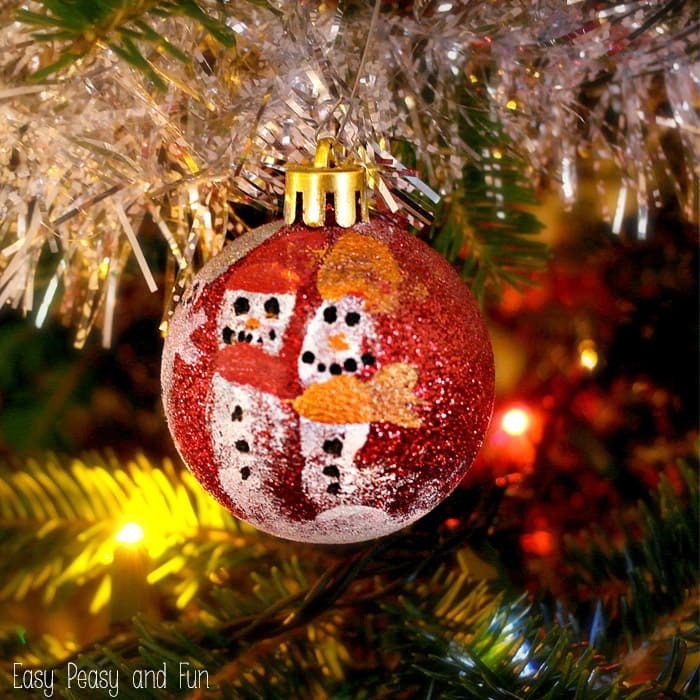 Fingerprint Snowmen Christmas Baubles – Such a wonderful keepsake. Use a plastic bauble if working with younger kids! 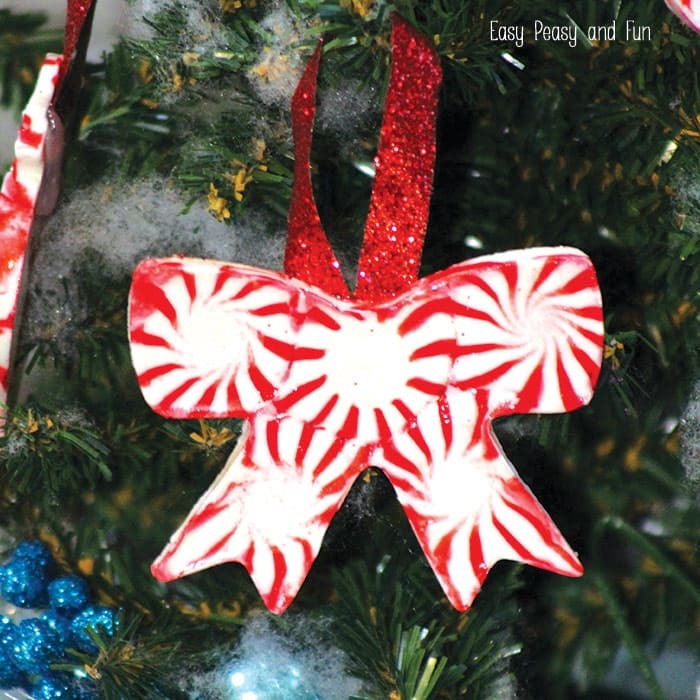 Peppermint Candy Decoration – too much candy? Turn it into a decoration. Footprint Reindeer Salt Dough Decoration – Another one to try. 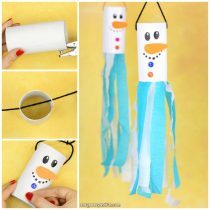 Simple Paper Snowman – easy and fun to make. 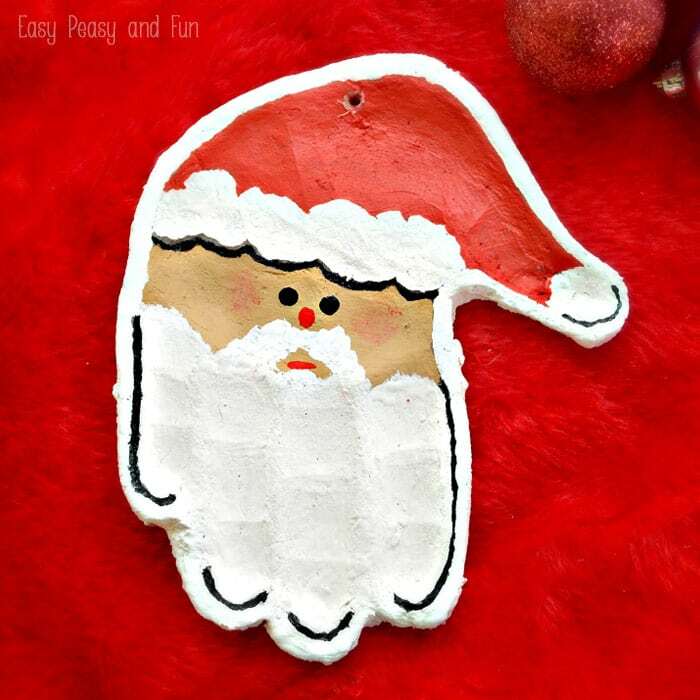 Pine Pressed Salt Dough Ornament – No need to just stick with pine, your kids can explore all kinds of different textures. Button Craft Stick Snowflake – These will look amazing on the Christmas tree. 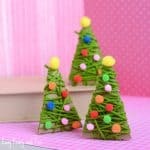 Popsicle and Twig Ornament – a wonderful natural looking decoration. 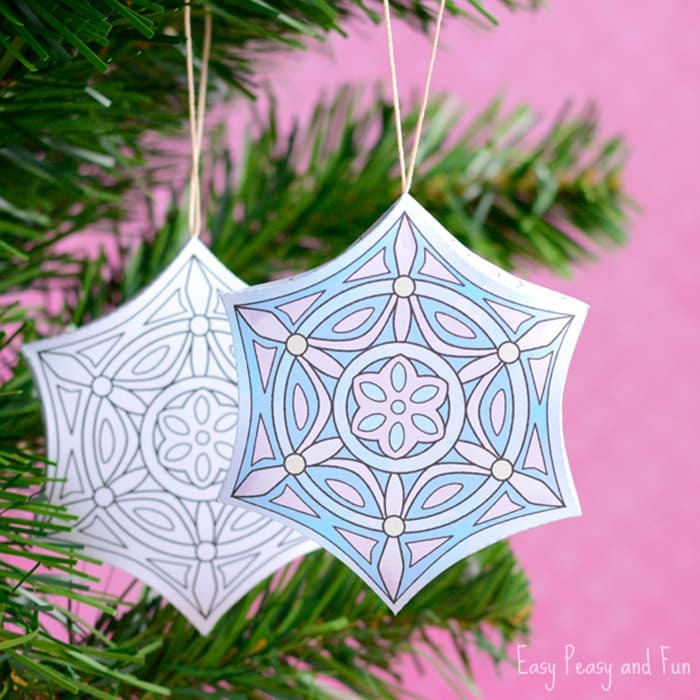 Textured Clay Ornaments – Air dry clay is so fun to work with. 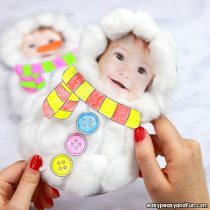 Pom Pom Snowman – do you know how to make pom poms? It’s really easy. 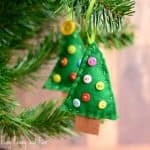 Felt Christmas Tree – perfect project for sewing beginners.